Me, Sarah Montgomery and Kelley Drobinski....and a "stand-in" for our teammate Jason Fichter. Sarah in the Team Penny Pincher car! 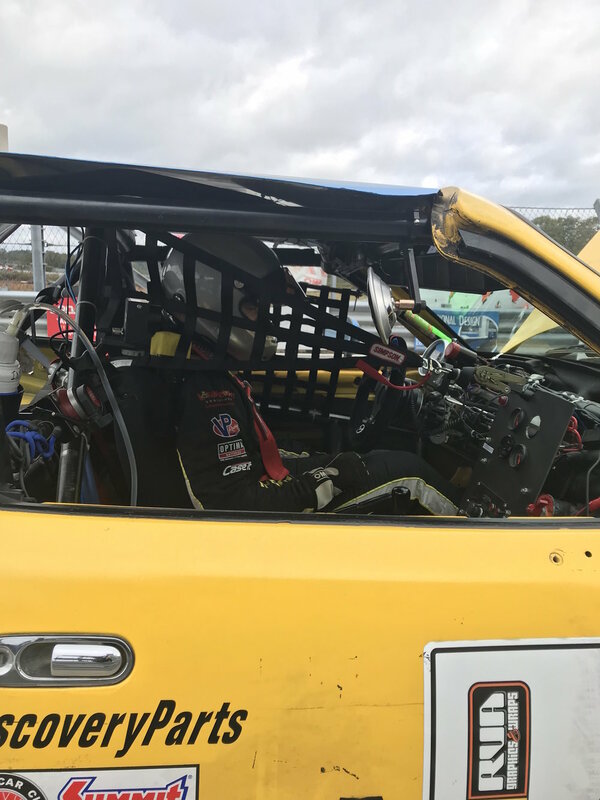 This past weekend I drove in a 16-hour Chump Car race at Atlanta Motorsports Park. I co-drove with Sarah Montgomery, Kelley Drobinski and Jason Fichter in a Mazda Miata, and we called ourselves The Fast and the Fabulous. Jason was our honorary girl for the weekend since he was the one male driver, and he had no idea what was in store for him! We had a really good day Saturday even though it was pouring down rain. We ran some of the fastest lap times, brought the car home clean, and had a blast doing it. Driving a Miata makes it really easy to drive in the rain. Because it’s a momentum car, it still handles great in less-than-ideal track conditions. Kelley started the race on Sunday but we had mechanical issues just 37 minutes in, so we had to retire our car. But our teammates at Team Penny Pincher owned by Justin Hunt squeezed me and Sarah in to each drive over an hour in the car. It was good practice for Sarah and I to drive together and to do driver changes during a race. I’ve worked with Justin for the past two years, but I’ve never driven with him. Who’d have thought I’d wind up driving his car at the last minute? A huge shout-out to Justin and his team for letting us join them. The Team Penny Pincher car had a mechanical problem, as well, but we got it fixed and got back out, finishing 5th in our class. It was an exciting weekend! I learned a lot since this was my first enduro, and I was so thankful to experience it with some great friends, too. 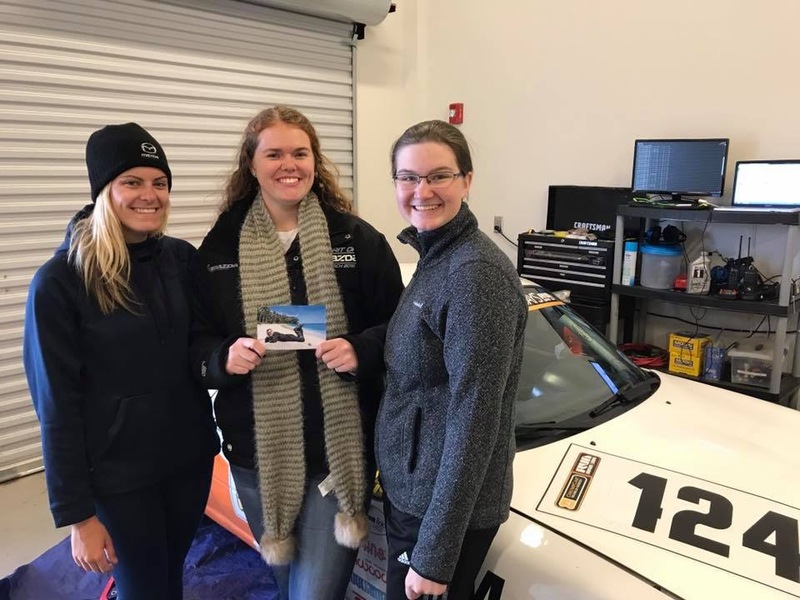 It gave me a reality check of how gruesome the 25 Hours of Thunderhill might be, and that we are likely to face hiccups along the way. From mechanical problems to changing track conditions, you just never know what will happen. Still, I’m excited to work with another MX-5 Cup team at Thunderhill, and to drive a car with ABS and power steering again!